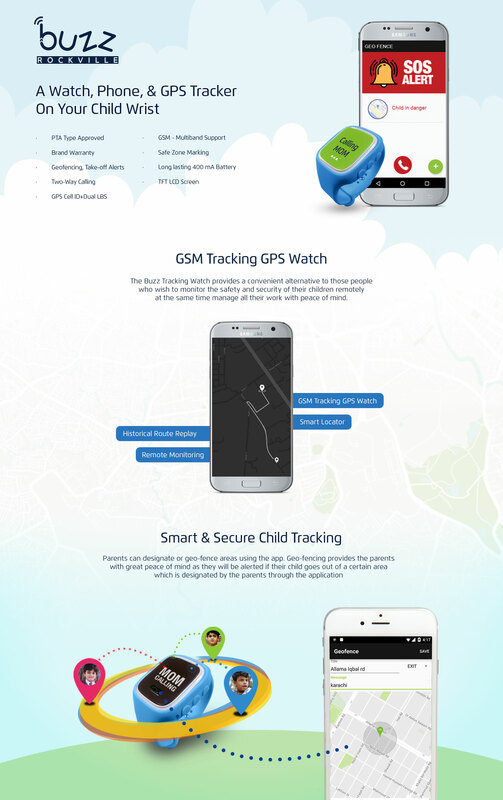 The Smart Locator allows the parent to see where their children are in real time, with an outstanding technological blend of GPS and GSM. In the event of an emergency, children can use the Smart SOS feature of the watch by simply pressing and holding the SOS button for 3 seconds to activate the ‘Emergency Mode. Parent will be able to initiate silent call remotely and will be able to listen all the sounds in surrounding without intimation about the call to watch and without making any sound. The application/watch can maintain a white list of up to 5 contacts. The parents can check the history of where the watch has been. Parents will get alerts on application and system whenever device is taken off from child wrist. 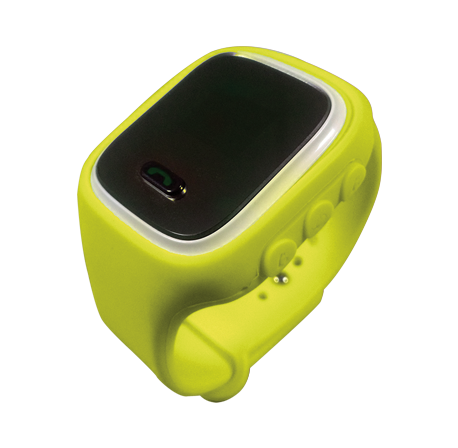 Power button of the watch will be disabled for child and will not be functional once it is connected with parent application. Parent will have authority to shut down the watch remotely. Parents can set different alarms for watch for any type of activity with mentioned string and watch will alarm on the specified time with mentioned title. Parents will be able to send text message of 14 character length to watch and the message will be displayed on watch. Living in Karachi for all my life now, and having my own kids being raised here. A few years back my youngest boy who is 5 years old sneaked through the main gate and started riding a bike with his friend who happens to live just at the corner. I was worried sick, didn't know what to do. called my husband. He came rushing back and started searching for him. Believe me, i was losing hope, and about to faint. I was relieved when i saw my husband returning with my son in his arms, i rushed and grabbed him. From that day since i bought this device which keeps me informed of where my children are. I ask all you new Parents to do let your kids wear this and get used to it. Its been over a year since i bought 4 watches from rockmobile. have to say it comes very handy and works fine. Those who are parents i would definitely recommend you, people. Being worried every time of where your child is when every he/she is playing outside or roaming here and there, is never a comfortable state. Its been almost 4 months i have made my children wear this device and believe me i am much relieved. These days its better to have your kids get used to this watch. Definitely, recommend to all parents. Bought it and i am very much satisfied with it, my boy wears it all the time especially when he is playing out side. Really the best customer support i have bought it from rock mobile. Was facing some issues, recieved a call immediately and the problem was resolved. Its a bit difficult to get used with the app, else its the best choice for security.